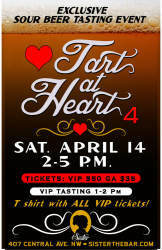 Tart at Heart is back for the fourth time on Saturday, April 14. 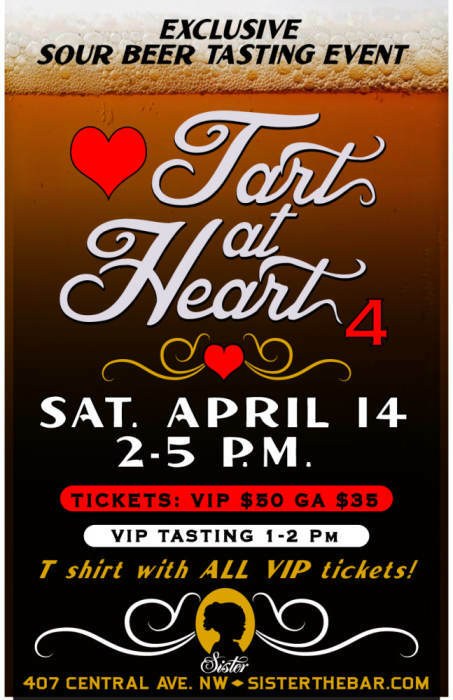 Tart at Heart is an annual sour beer tasting event featuring over 30 sour beers, sourced locally and imported from around the world. This is one of our favorite events and we highly recommend you check it out!